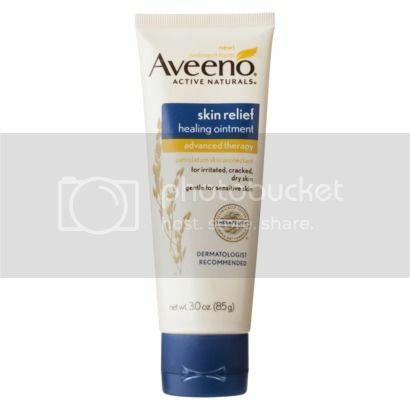 Pammy Blogs Beauty: Relief for Winter-Dry Skin: Products from Aveeno, Lubriderm, and Neutrogena! 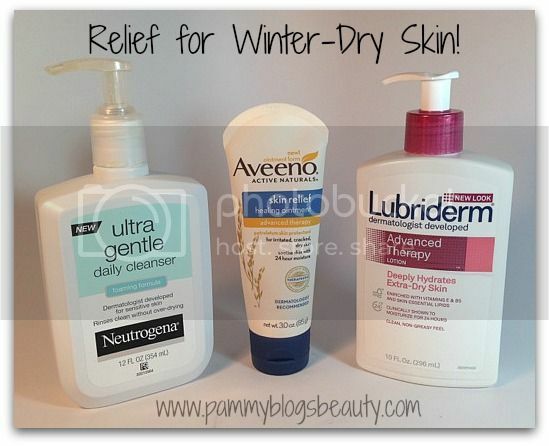 Relief for Winter-Dry Skin: Products from Aveeno, Lubriderm, and Neutrogena! Like many people, my skin gets so dry in the winter. Not just dry...but, itchy, flaky, and even chapped. So, I need to rely on rich and moisturizing products with proven ingredients. With so many products on the market, it can be hard to navigate the drugstore! The best way to search for products? Look for ingredients that are proven effective and that you know work for you. I am so excited that I was able to connect with Johnson & Johnson to get a direct quote from one of the product development scientists over at Johnson & Johnson as well as some other tips and product recommendations from the brand. What Ingredients are Helpful for Winter Dry Skin? “In the winter months, the cold temperatures and decreased humidity can wreak havoc on your skin. We need to use products that contain ingredients such as oatmeal that help prevent dryness and fortify the skin.” -- Michael Southall, Senior Research Fellow, Research & Development at Johnson & Johnson Consumer Companies, Inc.
Knowing about the best ingredients and technologies – like Vitamin E, Vitamin B5, Glycerin, Oat and Hydrophobically Modified Polymer (HMP) Technology – is the first step to keeping your skin healthy all winter long. This gentle yet effective daily foaming cleanser is specially-formulated with patented Hydrophobically Modified Polymer (HMP) Technology to help prevent breakage of the skin’s delicate moisture barrier that can lead to that over-dried, tight feeling. Clinically shown to provide relief for extra dry skin, making it healthier-looking and more resilient in just one week. The formula, infused with Vitamin B5, Vitamin E and Glycerin soothes and moisturizes, leaving skin soft and supple. Lubriderm lotions are staple products in our home. In the winter, my skin gets so dry. I need a lotion that I can trust to effectively moisturize and soothe my skin. 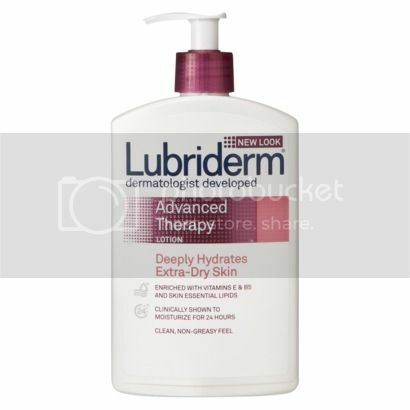 Lubriderm is great because you can use it all over your body. It is super effective on very dry patches and problem areas like my hands, feet, and elbows while also being great for all-over my legs and arms. While being pregnant, I have used separate stretch-mark preventing lotions on my belly and torso area. However, I have been loyal to Lubriderm elsewhere on my body. :) I honestly look forward to my daily applications of Lubriderm as it instantly soothes my skin and moisturizes so well. This multipurpose ointment with ACTIVE NATURALS® Triple Oat Complex helps soothe and protect dry, cracked or irritated skin. It targets extremely dry, chafed or cracked areas. This ointment soothes and shields minor burns, scrapes and cuts. It's also gentle enough for sensitive skin; this formula is free of lanolin, fragrance and dyes. This is a new product for me! I already love this multi-purpose ointment!!! It reminds me a lot of Aquaphor. So, I use it in the same type of way. It is great on super dry patches as well as on my lips and cuticles. I have been getting these very irritated red patches on the knuckles on my hands and this has pretty much healed those areas. I keep this in my bedside drawer for nightly application on any areas that need special treatment. What a great ointment!!! Overall, these products from Aveeno, Neutrogena, and Lubriderm are great additions to my beauty routine and product arsenal. They are very effective at keeping my dry skin at bay during the Winter. What products do your rely on for your winter skin care? 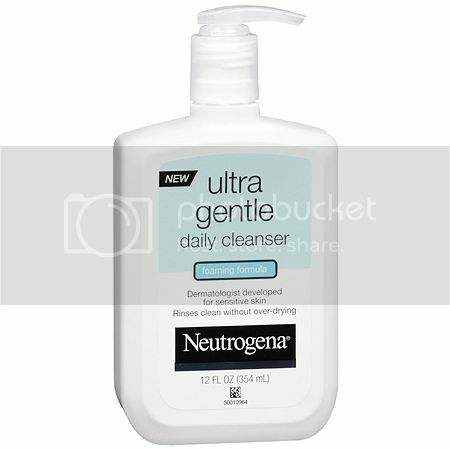 I've tried the neutrogena face wash and it is gentle but it doesn't really work for me.